« Cheap Laptop or Best Laptop? Note: The case study below is for a former client, so the current site may not reflect our work. 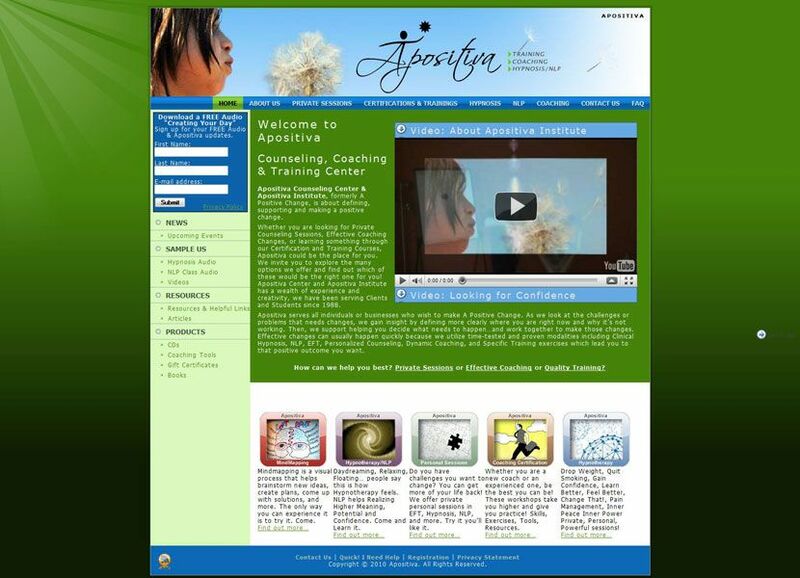 Richard & Cat needed a site to educate clients & potential clients about the ways NLP & Hypnosis can be of benefit. Additionally, they provide free audio samples and other training through the site. They also offer classes to teach NLP & Hypnosis, so putting all the elements together within the site was the most important piece of the puzzle. Justin McWhirter and his wife Tearei took our website challenge with expertise, patience, and imagination. We were referred to him by coach TJ Helm. It took us a long time to get our wits together and figure out what we wanted, but once we started the conversation with Justin the site just flowed. Justin kept us on track. He offered solutions to problems we hadn’t even considered, like placement of topics in more effective perspectives. Once the site was launched, Justin and Tearei were like a couple of doctors who worked with us through the night, making sure the site arrived healthy and alive! If you want want an advanced site, and need a team you can trust, that approaches the project from different perspectives, and technical expertise to back you up when you need it, you’ll want to talk to Justin & Tearei. You’ll never know how far you can go with their imagination!